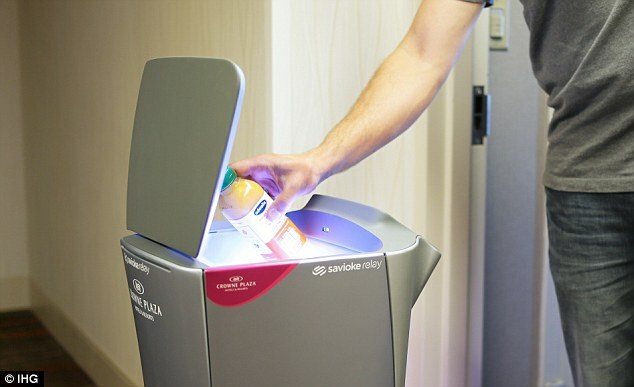 Crowne Plaza Hotel in San Jose-Silicon Valley has a new recruit: a robot for your room service! While robot butlers are common and widely popular in Japan, Crowne Plaza's android is among the first to be used in the hospitality sector. Aloft Hotels will reportedly also start using robots to do human tasks. The Crowne Plaza brand assists in making business travel work for its guests, and Dash will further enhance the guest experience through providing quick and seamless delivery of snacks, toothbrushes and other amenities to hotel guests. 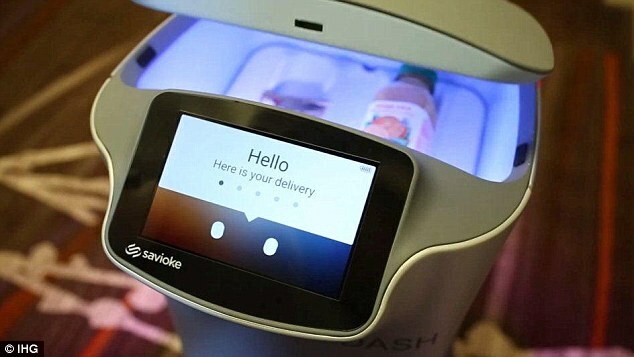 Dash is Savioke's latest version of its autonomous delivery service featuring automatic docking, improved autonomy, and an all new design enabling Savioke to scale in response to demand. When Dash arrives at the guest room, it phones the guest to announce its arrival, delivers the requested items, and makes its way back to the front desk where it can dock itself into its own charging station. Gina LaBarre, vice president of Americas Brand Management, Crowne Plaza Hotels & Resorts, IHG, sees the android as a positive addition to the hotel. 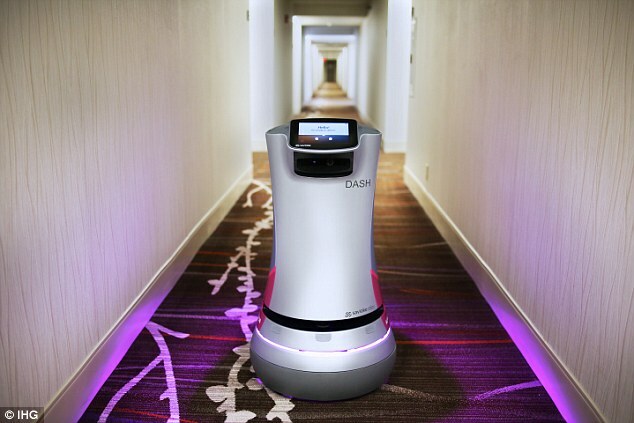 "Given the hotel's location in the heart of Silicon Valley, I expect our guests to be impressed by the technological sophistication of the robot," she said. The hotel is yet to test and observe the robot to determine whether more units will be rolled out in other properties or not. Crowne Plaza hotel team members are excited to explore new, innovative ways to serve their guests using Dash. In Crowne Plaza, the robot is called Dash, an android that's three feet tall and weighs less than 100 pounds. Dash is in charge of room service, specifically the delivery of hotel guests' requested items. When not in use, it charges itself at the station in the hotel. 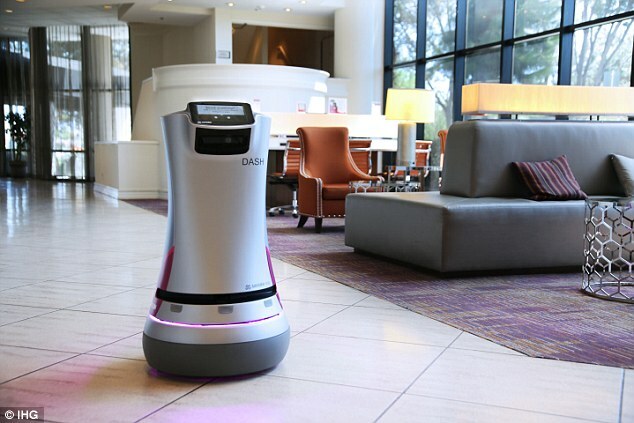 Savioke CEO Steve Cousins, meanwhile, said that he is hoping for a positive response from hotel guests and staff about the firm's robot technology, which is designed to provide assistance to people. "We make robots that can move around by themselves in human spaces and help people out," he said, as quoted by Bring Me The News.